Corporate Gifting — Just Pop In! 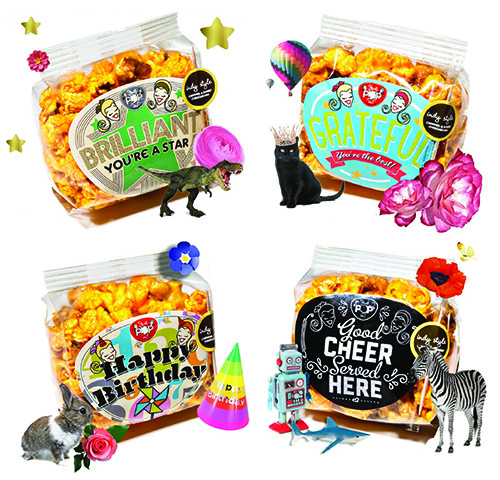 Drive brand recognition & client engagement with gourmet popcorn favors & tins that are unique to your organization. Our team will work with you to create useful and meaningful gifts that will keep your brand top of mind with your customers and clientele. To create custom favors for your next event, please contact us. The range of occasions for corporate gifts is endless. Whether it is celebrating hardworking employees or thanking clients for their partnership, our team is here to help you create delicious gifts that will be appreciated and enjoyed. Shop favor bags for every occasion. The Indy 500 is coming up and we want to help you provide a wonderful experience for your out of town guests. Welcome your clients to our city with a locally-made treat. 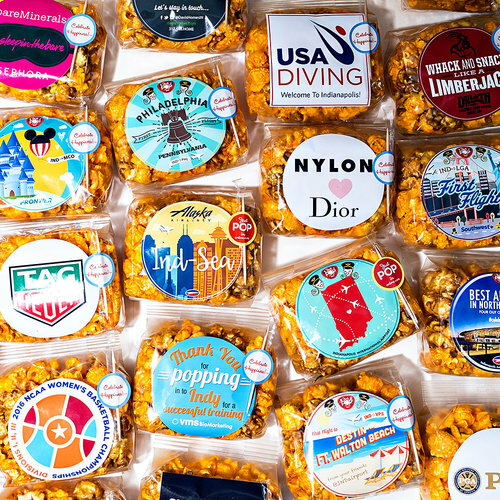 Our gourmet popcorn bags & tins make perfect hotel welcome gifts and snacks for meetings & events. 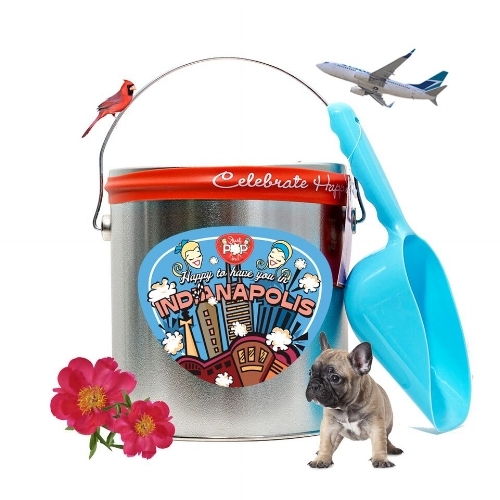 Shop our Happy To Have You In Indy favor bags and tins. We'll pop your socks off! It is our mission at Just Pop In! to create a fabulous gifting experience that is tailored to your brand, occasion or event. For more information about our corporate offerings please contact us!